Anthemis Consulting’s new website is now live! 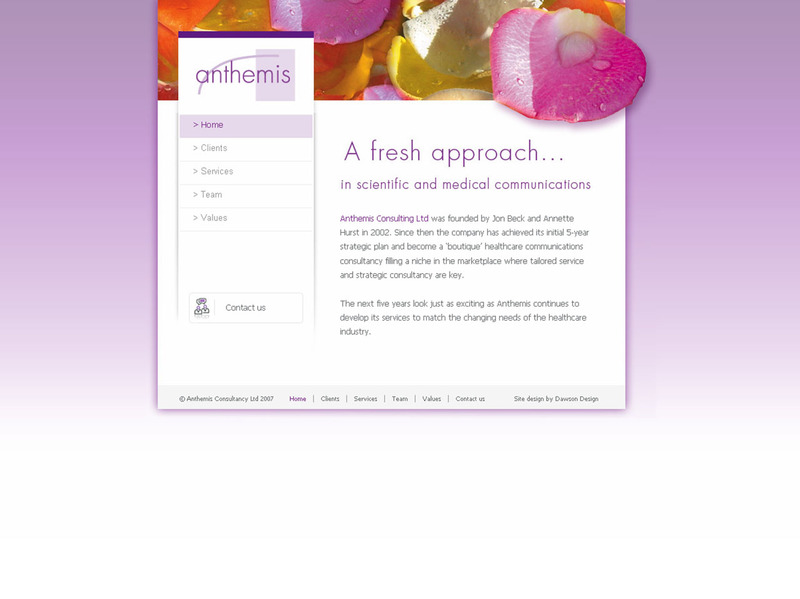 Anthemis Consulting are a ‘boutique’ healthcare communications consultancy based in Macclesfield. The company works with a diverse range of healthcare clients, including several of the top 10 pharmaceutical companies. With a brief to engage the key target audience of healthcare professionals and encourage awareness of Anthemis, Dawson Design created a clutter free website which is easy to navigate with a modern look and feel, built for flexibility and future scalability. The site gives an insight into the business, together with a more detailed animation on the value-adding services Anthemis offer.